A View of Mahoning Valley by George D. Beelen, Ph.D. Located among the green rolling hills of northeast Ohio, Mahoning County abuts western Pennsylvania and is nestled between Trumbull and Columbiana counties. With a 2007 population of about 257,000 people, it occupies an area of 423 square miles. "Mahoning is an Indian word meaning "at the licks", or "place of nourishment". Locally, it is the name of a river, a geographic place, and the site of nourishment for those many diverse peopleswho settled and lived here for years. From its formation in 1846, the county population grew rapidly until the 1930's when it leveled off. Its economic growth was propelled to a large extent by forest-derived charcoal and later raw coal which were used for smelting iron and eventually for manufacturing steel. Steel, and the resultant railroad industry, was to become the life-blood of the entire Mahoning Valley until the late 1970's and a changing world market. Waves of immigrants settled in the county providing the necessary labor for the booming businesses and industries. As the economy and population grew, so did the need for education, business and commerce leadership, cultural activity, good government and athletics. 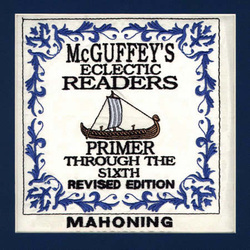 Mahoning County dutifully nourished those needs with resident William Holmes McGuffey and his famous McGuffey Readers. County residents are also justifiably proud of their own Youngstown State University, which began as the private YMCA-associated Youngstown College and in 1967 became a state university.